Underground pass on N. Bacalso Ave.? 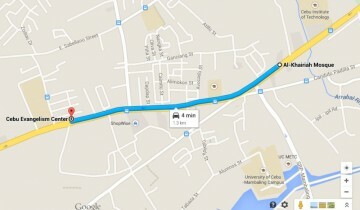 To solve the worsening traffic in Cebu City, there are plans to build a P750-million underground pass on N. Bacalso Ave. It will be a four-lane pass for two-way traffic stretching 700 meters from Muslim Mosque on N. Bacalso Ave. to the corner of Cabreros St. Still in Cebu City, work on S. Osmena Blvd. comes closer to completion after the contractor undertaking the road project resumed earth-balling the trees on the center island under the supervision of the Cebu City Parks and Playground Commission (CCPPC). Cebu City Mayor Michael Rama attended the quarterly meeting of the Cebu Citizens’ Press Council where he said he does not mind receiving criticisms but asked that these refer to factual issues. There is a reason the Metropolitan Cebu Water District (MCWD) is frequently calling on the public to conserve water this summer. Several parts of the cities of Talisay and Cebu are already feeling the issue of water supply shortage. It will stretch 700 meters from the Muslim Mosque on N. Bacalso Ave. to the corner of Cabreros St. It will allow two-way traffic with two lanes per direction. Shown on the map is the general area of the proposed underground pass on N. Bacalso Avenue. The infrastructure, which will be done in three phases, is projected to be completed in 2017 or next year, depending on the funds, affecting surrounding properties, including two shopping centers. The underpass project is included in the 2015 DPWH Infrastructure Program, which is funded by the national budget for this year. This summer, several parts in Talisay City and Cebu City have been experiencing low water pressure or no water at all at certain hours of the day. Summer and the El Niño made an impact on the water production of the MCWD whose output is down by 10,000 cubic meters per day. Actual water production was 208,000 cubic meters from a target of 218,000 cubic meters. According to Charmaine Rodriguez-Kara, MCWD public affairs manager, the Jaclupan weir or small dam reached a critical level in the first week of April, affecting many areas. The Jaclupan water facility has been producing about 20,000 cubic meters instead of its normal output of 33,000 cubic meters a day, while the Buhisan dam, which usually dries up in the summer, produced only 3,200 cubic meters instead of 6,000 cubic meters a day. Cebu City Mayor Michael Rama clarified he issued no gag order on 21 department heads and offices of City Hall and even called on them to be accessible. The Cebu Citizens’ Press Council invited the mayor to its second quarterly meeting as a way of improving media coverage at City Hall. “That has been my position all the time. If you want to be a public servant and you work at City Hall, I have been telling clearly, it is a 24/7 job. With the departments, I will again, through PIO (Public Information Office), remind them to be accessible,” said Cebu City Mayor Michael Rama.